Riverford Organic Farmers, experts in Organic Produce since 1987 have been kind enough to send us recipe boxes in the past, and they have all been a great success in our eyes. 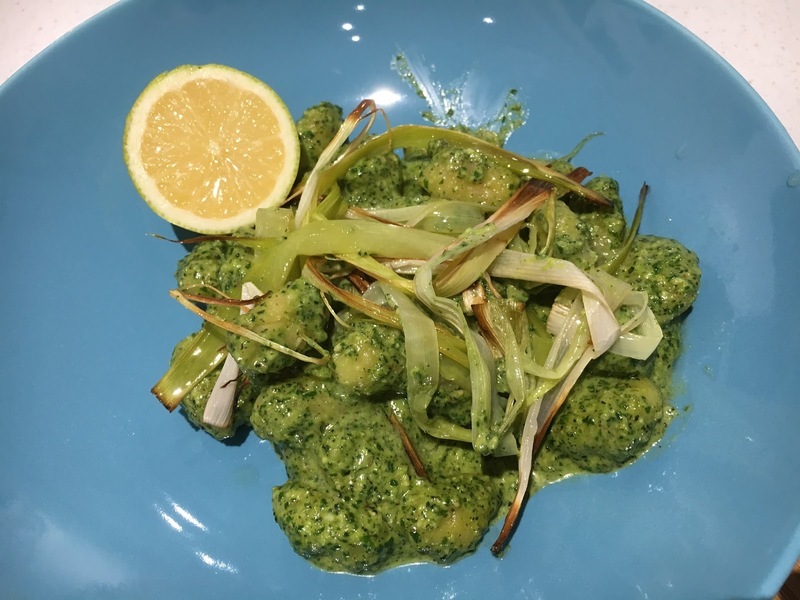 Recently we were offered another Riverford Vegetarian Recipe Box which showcases their collaboration with "Delicious" Magazine and it's Food Editor Rebecca Woolard. Rebecca who is a trained Chef and has won a BBC Good Food award oversees all of the recipe content for Delicious Magazine and alongside Riverford has nttaken some of the recipes featured in Delicious Magazine and created Recipe Boxes for them, meaning that they can be recreated in a simple and effective way in your own kitchen. Now that I'm working full time, anything which makes meal times easier is welcomed from me! As I have said previously, I love that when you receive a recipe box everything is measured out, and all you have to do is prepare and cook it, which cuts out so much time! All three recipes were a great success! Our favourite recipe was the Baked Butternut Squash with Ricotta and Spinach - a warming hearty Autumn recipe as the weather is starting to turn! The Gnocchi with Spinach Pesto was the first time I have ever made pesto from scratch and I was surprised how simple it was. 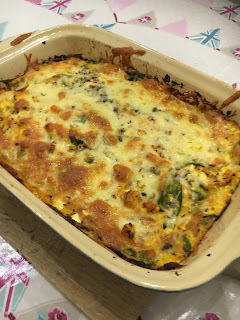 The recipe challenged me to improve my cookery skills too! The Roasted Tomato Salad was a refreshing reminder that salad is not just for the summer! 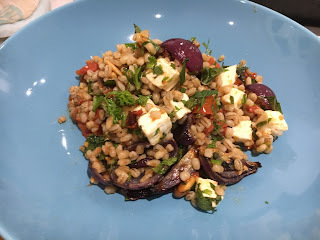 I loved the combination of the pearl barley and vegetables with the Feta. What I love about Riverford is that 90% of the vegetables supplied are UK grown and often locally grown. Our box was produced in conjunction with a local supplier, and so you also feel that local businesses are directly benefitting from your sale. Riverford offer a fantastic supply of Vegetarian recipe boxes each week. 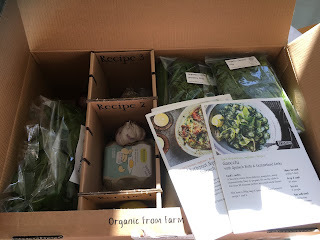 I would definitely recommend trying a box as it takes the stress out of having to decide what to cook at meal times, and encourages you to try an array of delicious recipes you wouldn't typically consider. Recipe boxes are priced between £24.95 and £33.95 and the range changes each week.